brands to become a fashion statement in its own right. AS A YOUNG MAN he spent his free time tinkering with the development of the first waterproof camera case. And even today, it’s his thirst for discovery, his love of adventure and his passion for new trends that drive Dieter Morszeck. What’s more, he inherited the innovation gene: RIMOWA is a family business, and he is the third generation of owners at its helm. 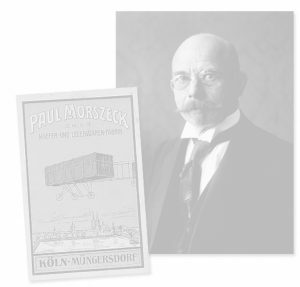 The success story of this oldestablished company started back in 1898 with his grandfather Paul Morszeck, who made suitcases, mainly from wood, in his Cologne workshop. Their most important qualities: a lightweight construction, sturdiness and meticulous craftsmanship. In the 1920s, sophisticated globetrotters became enthusiastic fans of the smart yet robust luggage. Then, in 1937, Richard Morszeck, the founder’s son, produced the first steamer trunk made of lightweight metal – a revolution! He also gave what is now a cult brand its name: Rimowa – an acronym of Richard Morszeck Warenzeichen, his trademark. Today, RIMOWA is automatically associated with grooves. Inspired by the design of the first all-metal aircraft, the Junkers F13, RIMOWA launched the first-ever aluminium suitcase with parallel grooves in 1950. The look was a sensation – and has been an intrinsic part of the scenery at busy airports and stations for decades. But the top-quality accessories have become more than just practical travelling companions: they are a fashion statement in their own right, loved as much by the players of Germany’s national football team as they are by Hollywood stars Elizabeth Hurley or Gwyneth Paltrow. Making new discoveries and constantly enhancing the practical benefits of its products are the very essence of the company’s spirit. The first waterproof lightweight metal case was launched under Dieter Morszeck in 1976, followed in 2000 by the introduction of polycarbonate, a material hitherto only used in aircraft construction. 2001 saw the advent of the new, ball-bearing-mounted wheels, enabling even the heaviest luggage to be turned and manoeuvred effortlessly. The company’s latest success is the prize-winning RIMOWA Electronic Tag. Using a smartphone app and Bluetooth, travellers can check their suitcase in from wherever they happen to be and hand it over to airport staff in a matter of seconds. The close connection with aviation has remained a constant. 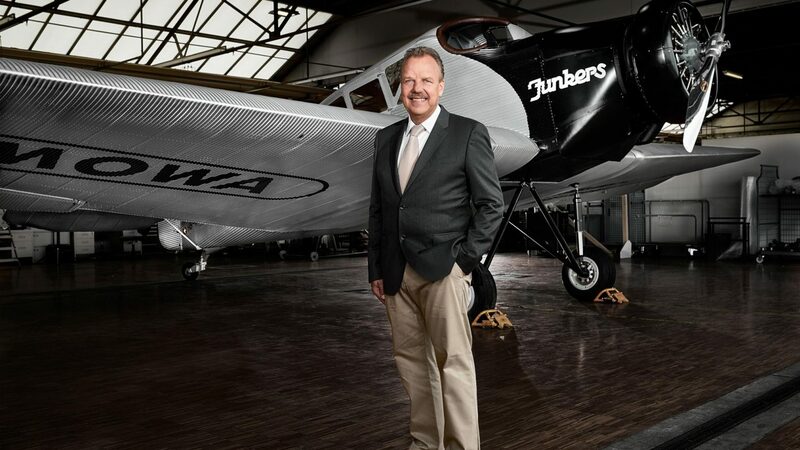 Amateur pilot Dieter Morszeck has transformed Rimowa from a travel companion into a means of travel: this spring he presented his first aircraft, a replica of the legendary Junkers F13 from 1919 that provided the inspiration for the RIMOWA suitcase all those years ago.